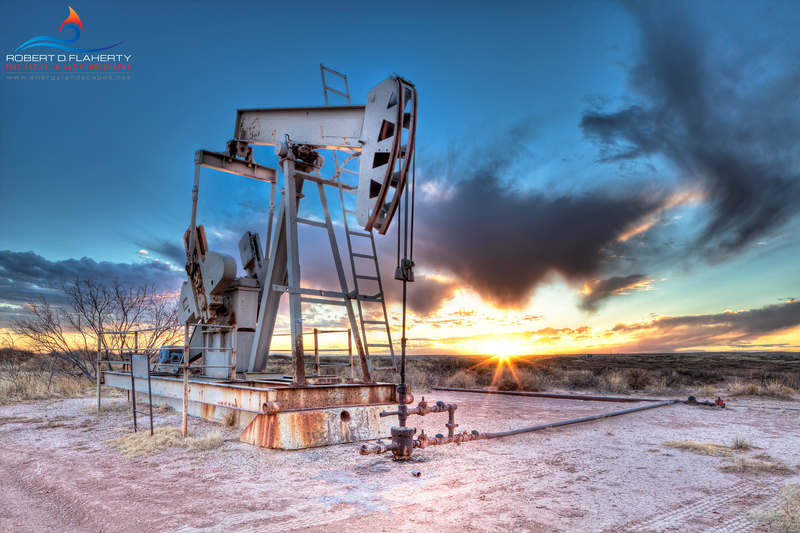 A very long exposure captures the very edge of light - Pumpjack in Reeves County far Western Texas. 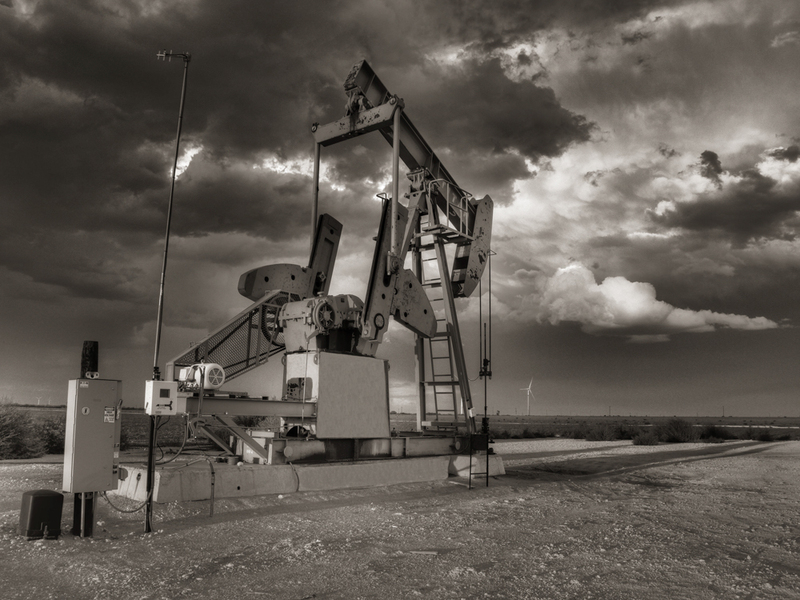 Oil and Gas Photography for Fine Art By Robert D. Flaherty. Photo © copyright by Robert D. Flaherty. 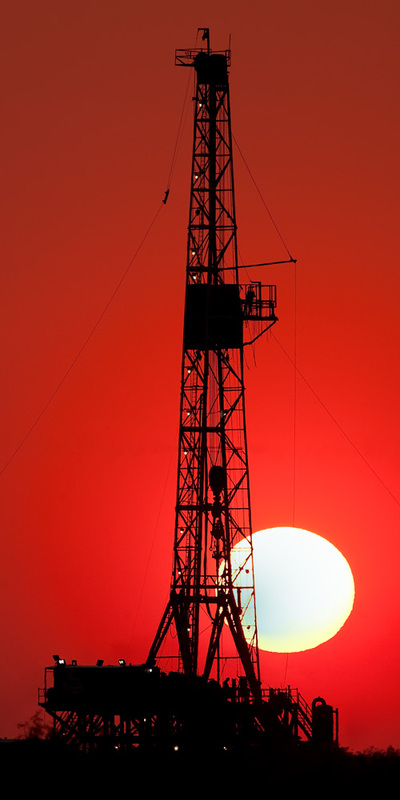 Last Moments of the day- A drilling rig photographed before a brilliant September sunset near Stanton Texas. 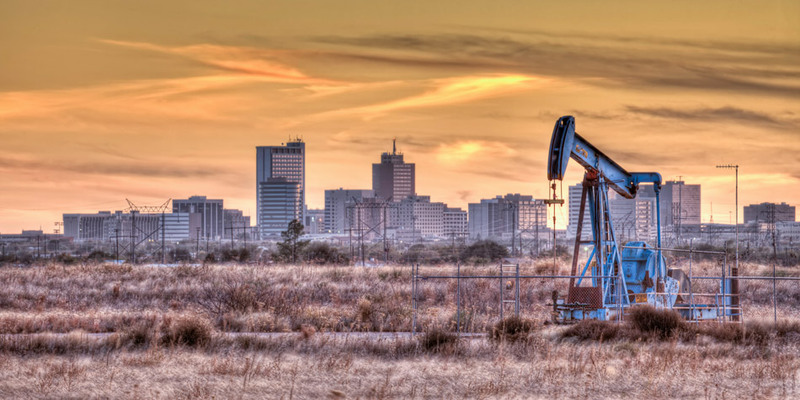 Oil and Gas Photography, Fine Art. Photo © copyright by Robert D. Flaherty. 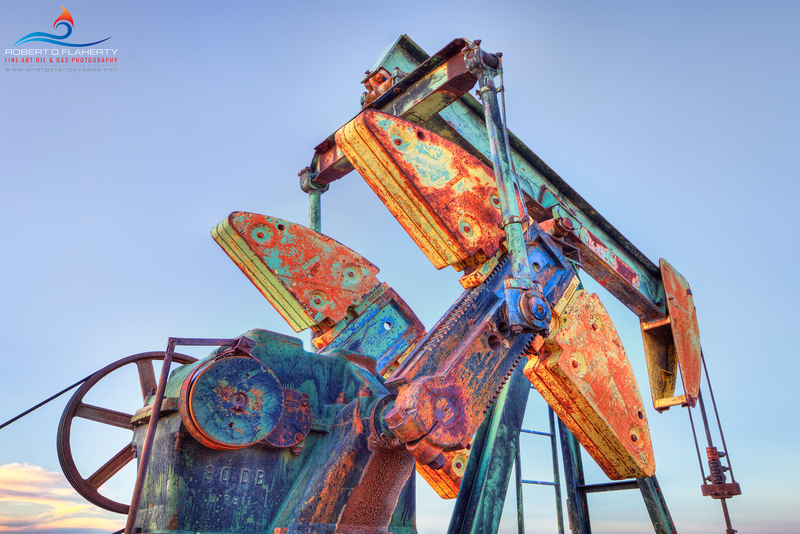 A pumpjack appears frozen in motion by a lightning strike near Goldsmith Texas. Early September before Texas worst drought in 200 years. Oil and Gas Photography for Fine Art By Robert D. Flaherty. Photo © copyright by Robert D. Flaherty. An hour and a half long exposure reveals the Terrestrial Wind near Stanton Texas. Photo © copyright by Robert D. Flaherty. A long abandoned pump jack stands frozen in stride on the High Plains of Eastern New Mexico. "Two Booms Back" has always been a favorite image. A wide angle perspective control or tilt shift lens gives this image near perfect focus in all areas. The strong three dimensional feel in the image is enhanced by shifting the lens up while keeping the camera and sensor level. In late 2013 the image was added to the fine art collection of British Petroleum in London. Oil and Gas Photography for Fine Art By Robert D. Flaherty. Photo © copyright by Robert D. Flaherty. 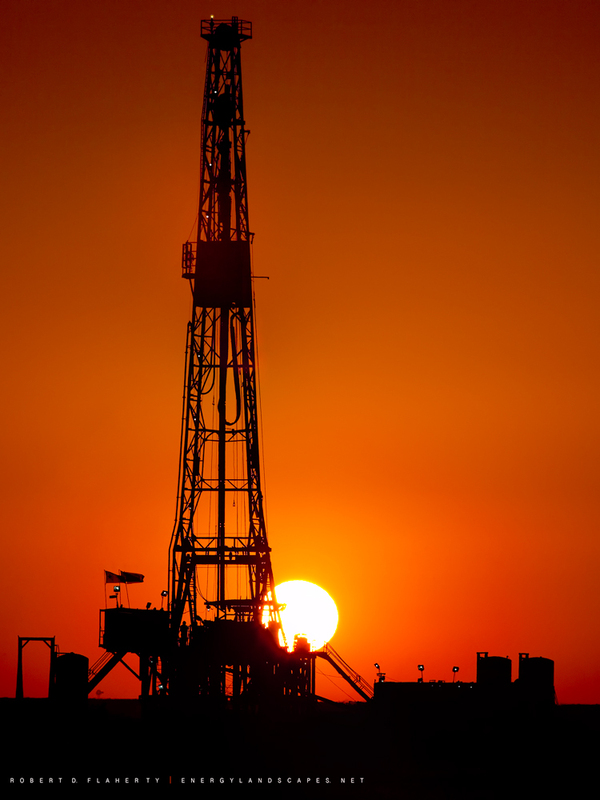 Pumpjack, drilling rig and remarkable sunset near Andrews Texas. Photo © copyright by Robert D. Flaherty. 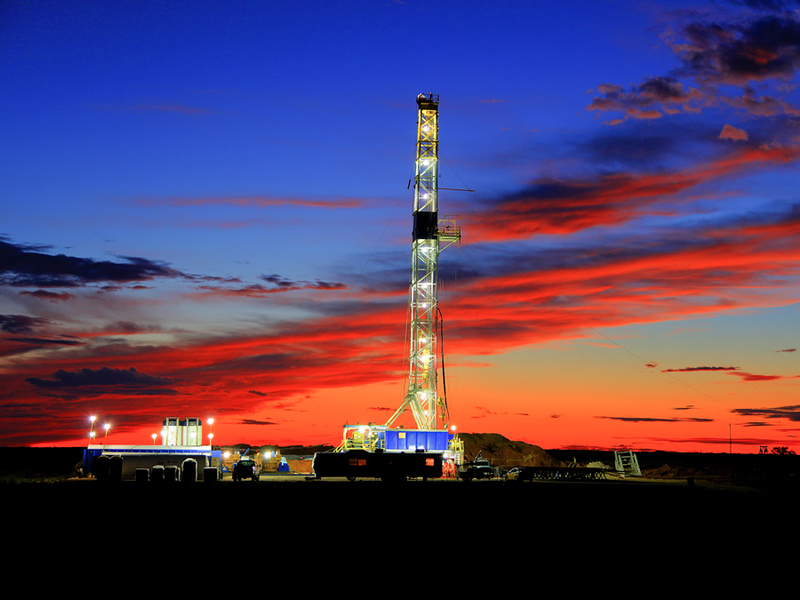 Drilling rig set against a late September sunset in Northern Ector County Texas. Oil and Gas Photography for Fine Art By Robert D. Flaherty. Photo © copyright by Robert D. Flaherty. Drilling rig near Buckeye New Mexico. Oil and Gas Photography for Fine Art By Robert D. Flaherty. Photo © copyright by Robert D. Flaherty.